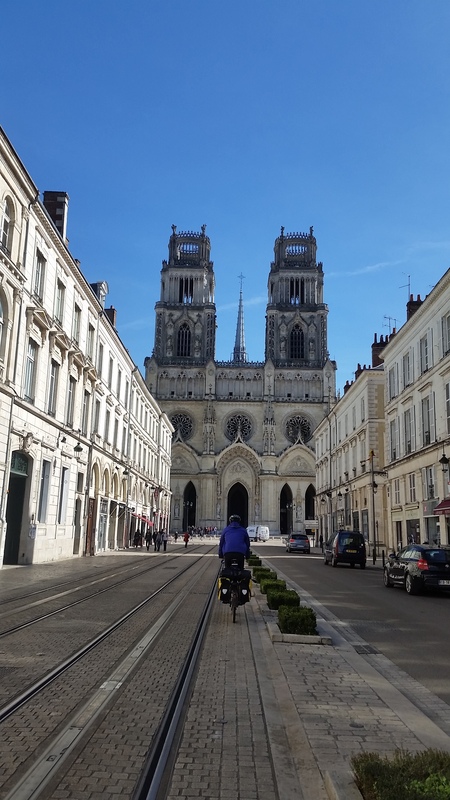 There are three things you should know before setting off on a cycle ride through rural France: 1) Say ‘Bonjour’ to anyone before you ask for anything, or indeed even if you just pass them in the street 2) Buy lunch before midday to avoid disappointment. Most boulangeries & small shops close between 12-12:30 and 3pm 3) Be prepared to wild camp if arriving before 1st April. 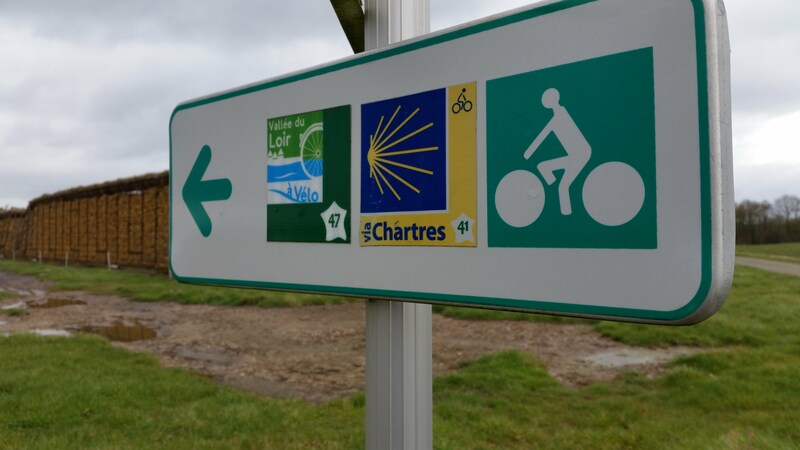 We were well aware of points 1 and 2 before starting off but were rudely awakened to the fact that most French campsites are closed until April after arriving in Mont St Michel. 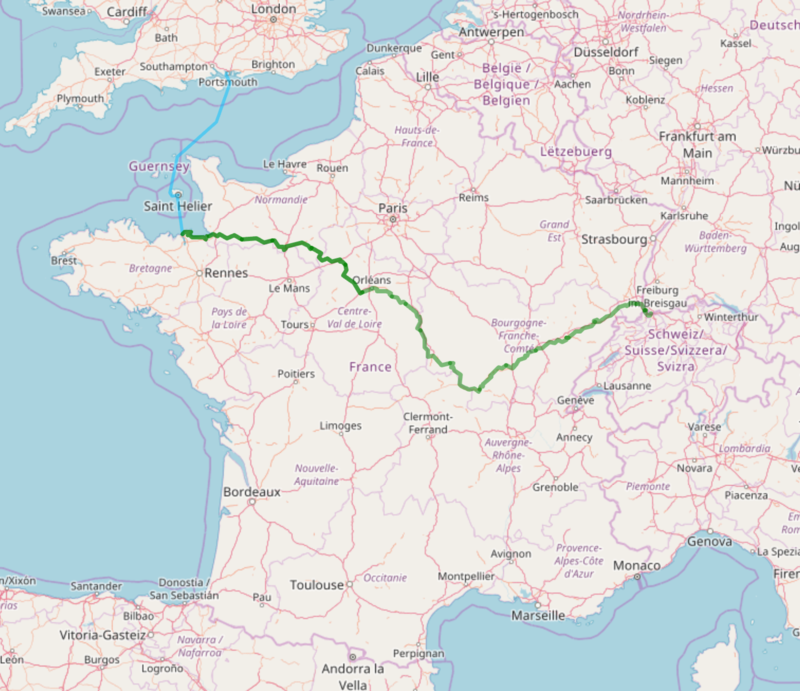 After a 60km first day past the oyster beds of Cancale and over the rolling country hills (definitely not flat) we were looking forward to an easy first night in the tent. But despite the amount of tourists, and HUGE camping sign we were told to go elsewhere. After circling the local area until dusk we ended up on the coast with a spectacular view and not a campervan in sight. The next morning we said goodbye to the coast and started heading east. We soon fell into a good routine - wake up, breakfast, pack tent, head to nearest boulangerie to buy second breakfast and fill up our water bottles, cycle, find boulangerie for lunch, cycle, snack, cycle, look for somewhere to pitch tent, cycle, look for somewhere to pitch tent, cycle, look for somewhere to pitch tent, cycle, pitch tent, eat, sleep, repeat! 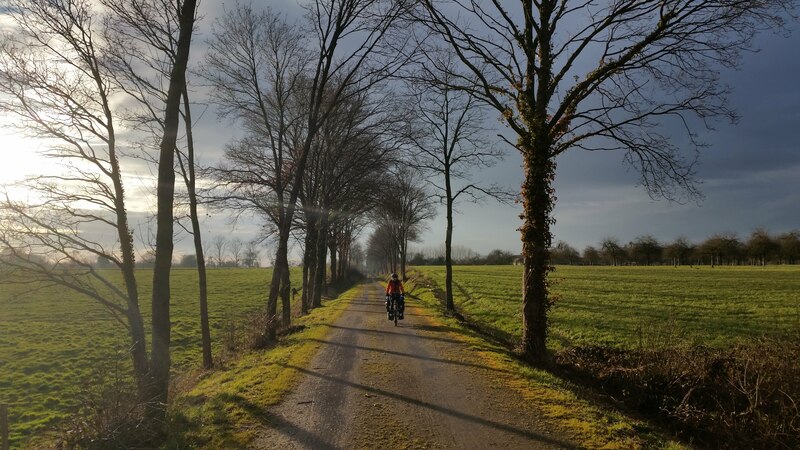 As we headed inland we cycled on some incredible ‘Voire Verte’ cycle routes which are usually old rail lines and completely off roads. It was bittersweet cycling however with some very flooded sections and sticky clay gravel which meant we crawled along the flat paths at 10kms/hr at times. When the path went onto the road we past incredible chateaus and all but deserted villages. 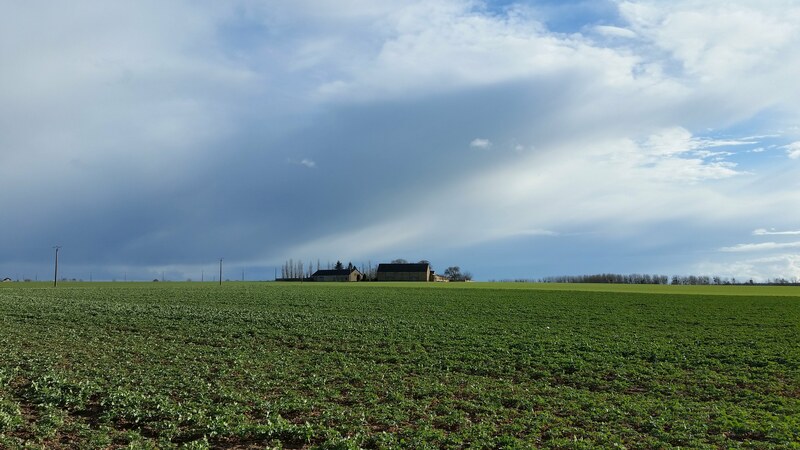 We also started to see the huge scale of farming in France (and probably all other European countries) with vast expanses of crop fields, mainly broccoli and wheat, that were only broken up by a local village. To an outsider these can look like beautiful lush landscapes, but for some of the people living nearby the farms cause local issues. We stayed with two Warmshowers hosts who lived right on the edge of the fields who complained of water contamination, loss of bees and air contamination from the frequent and heavy use of pesticides and chemical fertilisers. It’s not until you see farming on a scale like this that you really consider the added benefits that organic food may have, not just for the person consuming them, but for the local ecosystems where they grow too. 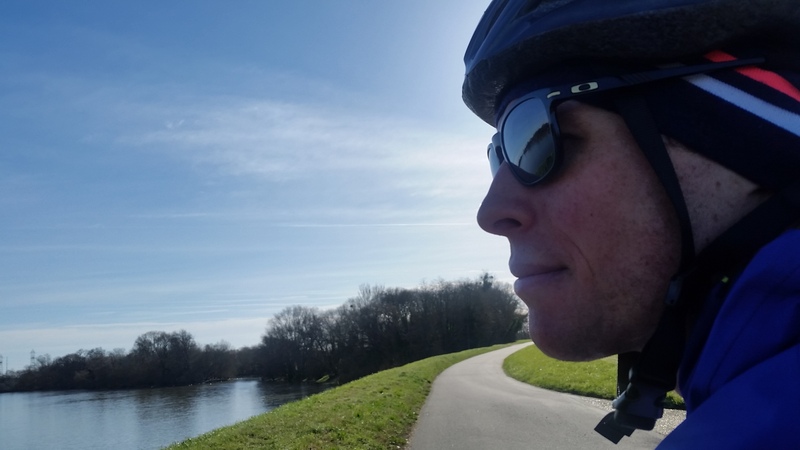 Warmshowers is a website where there is a community of cycle tourists, both hosts and travellers throughout the world. It is an honesty, pay it forward type system where hosts offer a space for cycle tourists to sleep, shower and sometimes eat with them as well. Our first Warmshowers experience was absolutely incredible. We didn’t know what to expect and our French is ropey at best, but we were warmly welcomed shown into our own room and shared a wonderful 3 course meal with our hosts including home-made fois-gras (it has been very difficult to be a vegetarian in France!) and of course cheese for desert. It was more than we could have hoped for. Another benefit of Warmshowers is speaking to locals and discovering all sorts of information about places we’d cycled, or were about to cycle through. We found out for example that the little village of Illiers-Combray, where we had stopped to buy a gift for our hosts, was where Marcel Proust frequently went on holiday and was the model for the fictional town of Combray which appears in ‘In Search of Lost Time’ and where the “episode of the madeline” is supposedly based. In fact Illiers was renamed Iliers-Combray in 1971 in honour of Proust! 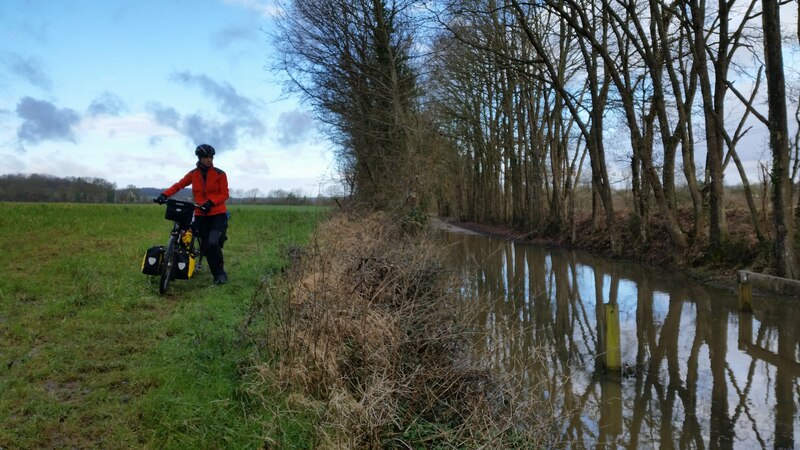 After yet more flooded paths and beautiful chateaus, a week after we set off we finally reached Orléans (where the flat lands supposedly start…)! We find our best boulangerie yet just past the huge cathedral in Orléans. Orléans is the celebrated home of Joan of Arc, the courageous teenager who predicted a military reversal at the Battle of Rouvray between France and England. Her presence at the siege of Orléans was a success and led to Charles VII’s coronation, boosting the Fench morale and paving the way for a French victory. She was captured and burned on the stake by a pro-English Bishop, aged only 19. Later pardonned she became a martyr and patron saint of France. So after reading that a little rain and mud didnt seem so bad! Full of baguette we head off to follow the Loire gently upstream.